According to botanists, the definition of a vegetable is based mainly on the plant parts, such as roots, stems, and leaves. A fruit by definition is the part of the plant that develops from the flower or the section of the plant that contains the seed or seeds. 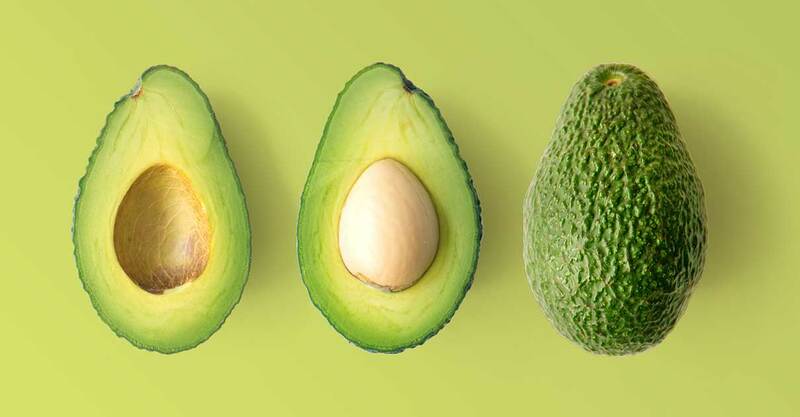 A fruit is the mature ovary of a flower and consists of a tough outer layer, a middle layer (often referred to as the flesh) and a casing around the seed or seeds which are evident in the avocado. There are two types of fleshy fruits known as berries and drupes. Drupes have tough pits or stones like those found in a peach. Avocados actually fall into the berries category. Berries are known for their fleshy endocarp, mesocarp, and exocarp layers, such as you see in the avocado. Avocados are incredibly versatile and as such, can be used in both sweet and savory dishes. To make a healthier dessert, utilize ripe avocados instead of heavy cream when making chocolate mousse. Just substitute the ingredients and voila, you have a healthier, more nutrient-dense chocolate dessert. For savory dishes, avocados can be cubed and tossed in your favorite salads. It also goes well with white fish and other types of seafood. The best part about avocados is they have a very mild flavor, so feel free to experiment with different cuisines until you satisfy your palate. Even though the avocado looks like a vegetable and does not taste anything like a sweet and juicy piece of fruit, it does fall under the botanical definition of a fruit.